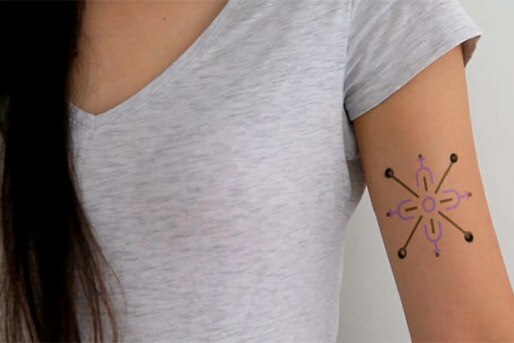 A new project developed by Harvard University and the Massachusetts Institute of Technology (MIT) has developed a type of tattoo that can be used for medical reasons, not just to decorate your body. The collaboration of the two universities has resulted in Dermal Habyss, an ink that at first does not differ much from the ink used in current tattoos, but are able to react depending on specific changes in your body. The ink can measure the concentration of glucose, sodium and pH reacting with a change of color if the levels change to a point that could be considered dangerous. The ink, being in interstitial fluid contact of the skin, may react with a change in glucose, which would be a permanent way of warning diabetics and forget about measurements such as pricking to get a drop of blood and measuring glucose level. This type of tattoo materials can evolve into pigments for other cosmetic products, for example make-up or suntan lotion. Medical researchers at both universities believe that this is the next step in “wearable” technology, wearables that you can insert into your skin and that will react depending on the type of health problem you have.